Norby Aviation is dedicated to the joy and freedom of personal flight. Every aspect of our approach is centered on personal attention, safety and professionalism allowing you to quickly reach your aviation goals! 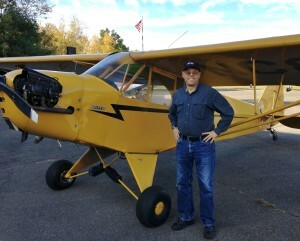 Chief Instructor Kevin has over 4200 flight hours, and has given 3200 hours of instruction in over 20 aircraft types. Kevin holds an Airline Transport Pilot multi-engine certificate with single engine land and sea ratings. He is a Certificated Flight Instructor for Single Engine, Multi Engine and Instrument, and holds Advanced and Instrument Ground Instructor ratings. Member of SAFE, AOPA, and EAA. Southbridge Municipal Airport, (3B0) in Southbridge, Massachusetts, is a public-use airport operated by the Town of Southbridge. It has one 3,500′ length runway 02/20, with full-length parallel taxiway, lights and instrument approach capability. Its hilltop location in Central Massachusetts and non-towered operating environment maximizes the training time on every flight by eliminating ground and air traffic delays, saving you time and money. Conveniently located within driving distance from the major population centers of Worcester, Hartford and Springfield, Southbridge is an ideal location for learning to fly or getting advanced ratings. Our modern training facility is located in the brand-new Administration Building, with convenient parking and direct ramp access. Relax and watch the planes land from the deck of the Red Baron Diner before or after your lesson. Norby Aviation LLC is the perfect choice for personalized, professionally delivered flight training to help you achieve your dreams!